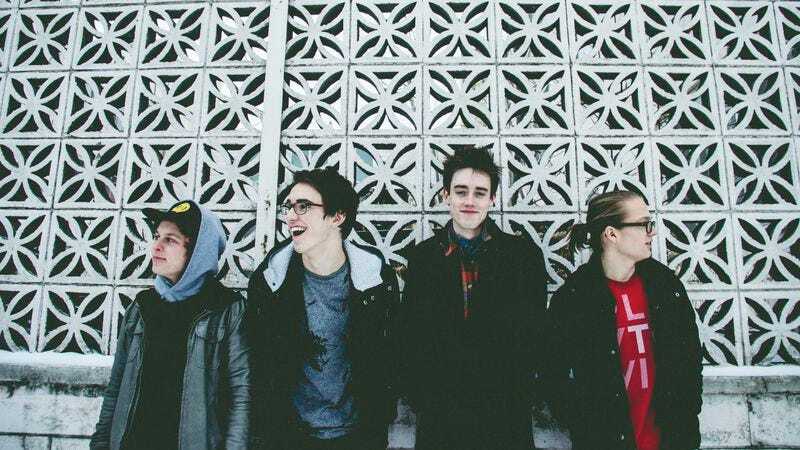 Astute readers will remember Hippo Campus from its recent A.V. Undercover appearance where it tackled Electric Light Orchestra. This Friday the band will release South, a new EP that’s exclusively streaming below courtesy of Grand Jury Music. The five songs on South are the next logical step following the band’s debut, Bashful Creatures, last year. While it’s easy to focus on how young the members of Hippo Campus are, South proves that the Minneapolis band is wise beyond its years. The songs are orchestrated yet still wildly energetic, while vocalist Jake Luppen elevates each track with his confident swagger.